WITH TRANSAXLE 25" & 30"
MURRAY BELT 37X125 37X125MA 37X125YP CALL US WE HAVE LIMITED SUPPLY IN STOCK AS OF MAY 26, 2017 WILL BE NO LONGER AVAILABLE WHEN ALL SOLD OUT. This listing LISTS MURRAY BELTS THAT ARE VERY COMMON. The murray belts listed are genuine Murray Belts. The most common MURRAY BELTS requested and the MURRAY BELTS that we specifically stock because of BELT failures. YOU WILL FIND MURRAY RIDING MOWER BELTS MURRAY PUSH MOWER BELTS ALL IN THIS SAME TABLE. MURRAY BELTS ALSO KNOWN AS MURRAY DRIVE BELTS AND ENGINE TO DECK BELTS AND ENGINE TO TRANSMISSION BELTS. MURRAY BELTS FAIL BECAUSE OF STRETCHING, OR BEING OVERLOADED TO THE POINT OF FRICTION BURNS, OR OUTRIGHT BREAKING. IF YOUR MURRAY PUSH MOWER TRANSMISSION BELT DOES NOT TURN, CHECK THE CABLE FOR ITS ABILITY TO PULL TENSION ON THE BELT IDLER. THE ENGINE PULLEY COULD HAVE ROLLED OFF THE MURRAY DRIVE BELT. IF THE DECK BEARINGS ARE STUCK AND THE DECK BLADES DO NOT WANT TO TURN FREELY, THE MURRAY BELT COULD BECOME DAMAGED BY FRICTION BURNS. IF YOU HAVE VIBRATION COMING FROM A BELT, IT PROBABLY HAS A BURN SPOT ON THE BELT. IF YOUR MURRAY BELT HAS BECOME SHREADED, YOU MAY WANT TO INSPECT ALL ASSOCIATED PULLEYS TO MAKE SURE THEY ARE NOT DAMAGED AND THAT THERE IS NOT ANY BELT CORD WRAPPED AROUND THE PULLEY OR IN THE PULLEY GROOVE. Don't be fooled by cheaper aftermarket belts, insist on Genuine Murray Belts. We don't waste our time with aftermarket belts, you shouldn't either. This web site has been made available to you for the enhancement of the services we provide to our customers. We have provided a number of resources here to help you FIND YOUR MURRAY BELT OR MURRAY BELTS, and suggest improvements to our service OF PROVIDING YOU WITH MURRAY BELTS. 37X132 BELT V 3L 34.8"
37x132 BELT, V 3L 34.8"
37x132MA BELT V 3L 34.8"
5101405YP BELT, A SECTION, 163. 760928MA BELT V 3L 34.8"
760928MA BELT, V 3L 34.8"
761788MA BELT, V 4L 39.2 MF16"
MT37x132 BELT V 3L 34.8"
This web site has been made available to you for the enhancement of the services we provide to our customers. 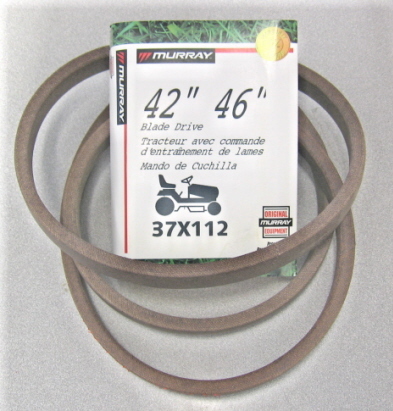 We have provided a number of resources here to help you resolve BELTS FOR MURRAY LAWN MOWERS problems, find BELTS FOR MURRAY LAWN MOWERS you need, and suggest improvements to our service of providing BELTS FOR MURRAY LAWN MOWERS for sale online. 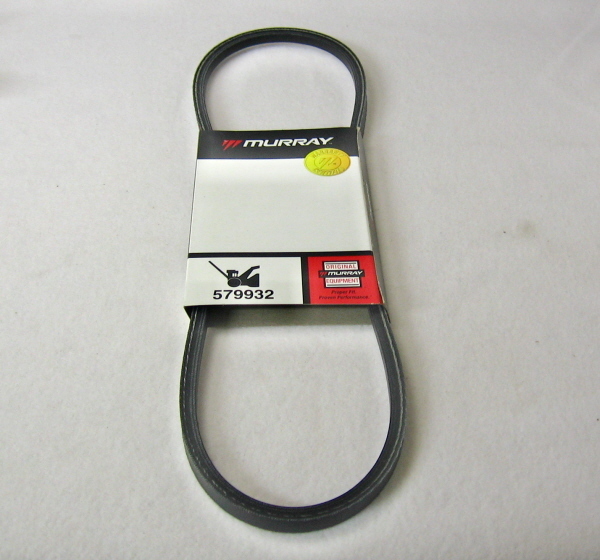 Where can I buy BELTS FOR MURRAY LAWN MOWERS online from mainland USA?